Daredevil Cancelled; Neil Degrasse Tyson #Metoo'd? 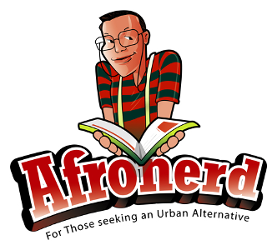 ; Blue Beetle-The Grind 6pm ET - Afronerd: The Blerd Revolution Has Begun! Happy Festivus! Welcome to the latest installment of The Grindhouse podcast powered by the Afronerd Radio Machine-airing every Sunday at 6pm eastern. Your favorite AFROnerdists are waxing about the following issues: impressions of the Widows movie starring Viola Davis and Liam Neeson; Daredevil gets canceled but the show's producer asserts that Netflix dropped the program not Disney/Marvel (what about Luke Cage, Iron Fist? ); noted astrophysicist, Dr. Neil Degrasse Tyson has been accused of sexual misconduct by three women; DC annouces plans for a Blue Beetle film, hence heralding a mainstream Latinx hero for the masses; DC/WB are also reportedly looking into films focusing on Zatanna in addition to the previously annouced Supergirl and Batgirl movies; meanwhile the Man of Steel 2 and Flash films are purportedly losing steam; educator/media pundit, Dr. Marc Lamont Hill gets canned from CNN for recent remarks he made during a speech at the UN many deemed to be anti-Semitic; Blade Runner gets its an anime translation via Adult Swim for 13 episodes; more Funk with Mike Judge's Tales from the Tour Bus S2, this time highlighting James Brown parts 1 and 2 (like his records); * Some topics we forgot to discuss per the last show. And lastly, comedian Bill Burr returns to Netflix with F Is for Family, S2. Call LIVE at 646-915-9620.